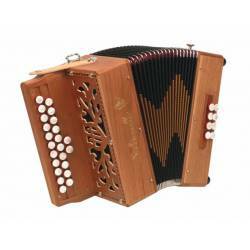 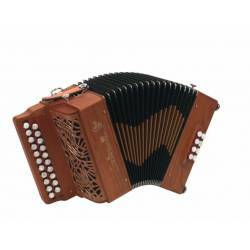 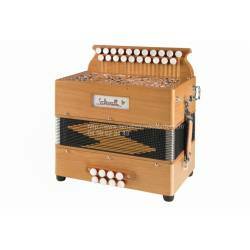 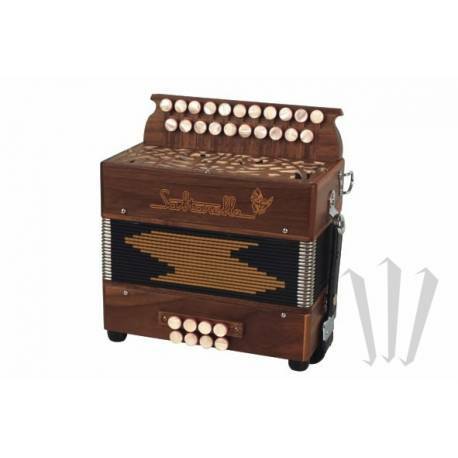 Saltarelle Epsilon Diatonic Accordion (2 rows, 8 bass, G/C). 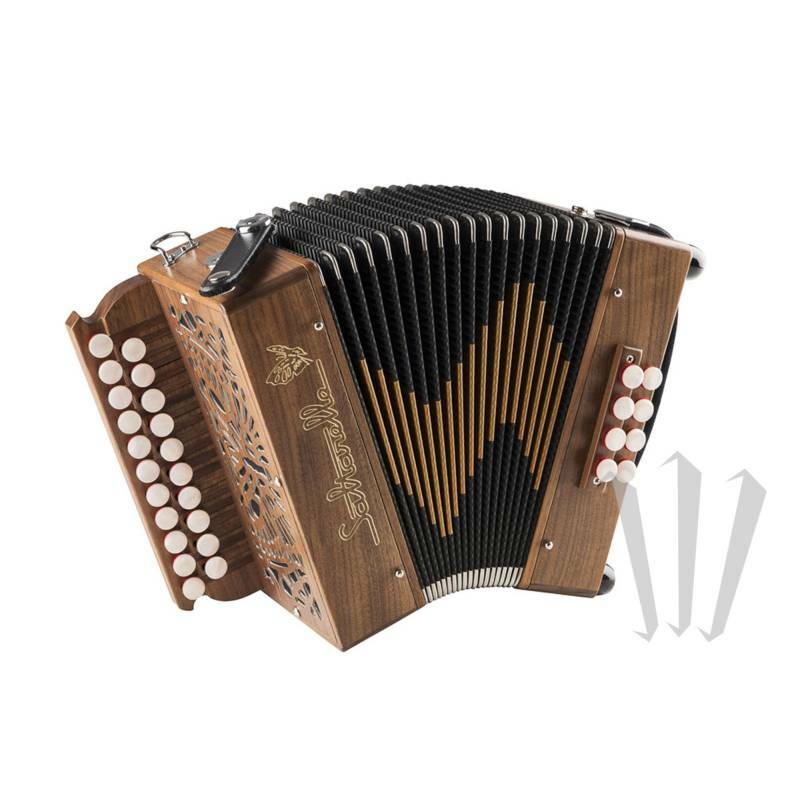 The Epsilon is a compact, lightweight and full-toned instrument. 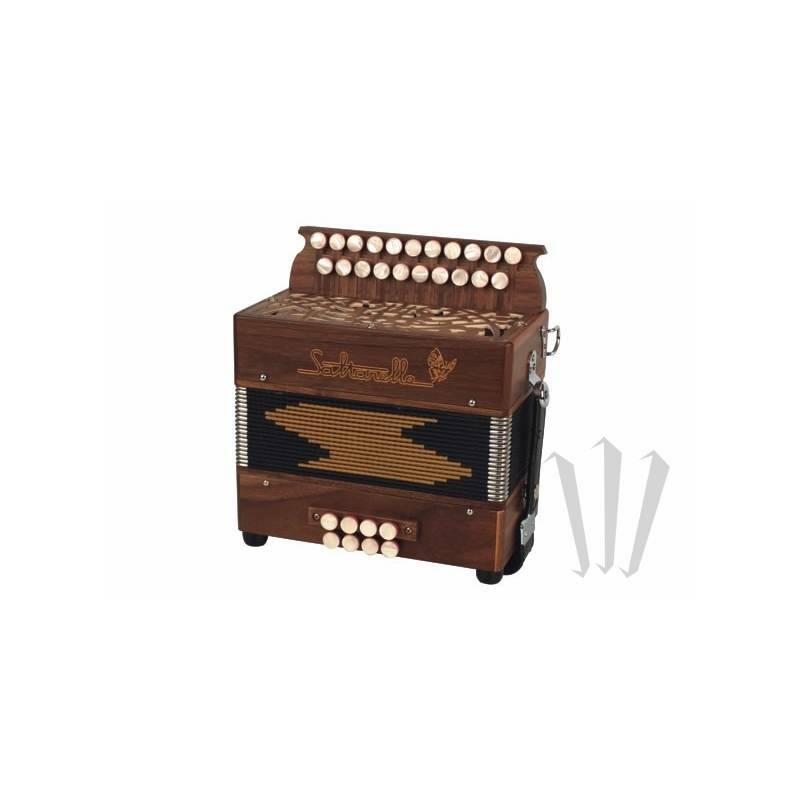 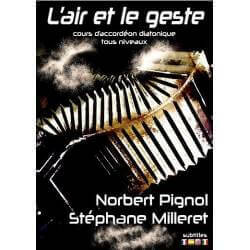 Mounted by hand, its 1 voice right-hand reeds give it a unique sound.